Newport Beach is one of the most affluent cities in Orange County California, and known for its Film Festival and the famous Beer Can Races. 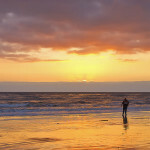 The city boasts excellent shopping and nightlife, and the Orange County Museum of Art is a favorite with visitors. 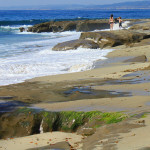 Newport Beach enjoys the warmest water in California with a high of 70F in August each year. 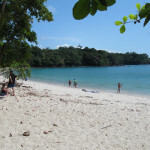 From June till September the water temperature ranges from 66 to 69F and the lowest temperatures can be expected in February with an average of 59F. 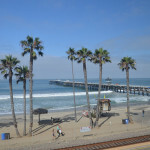 The best surfing locations are between Newport Pier and the Santa Ana River. Fisherman can fish from Newport Pier, and Newport Harbor is the USA’s biggest recreational harbor, with world class boating and sailing. 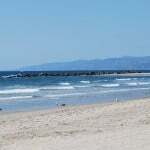 Any time of year is pleasant in Newport Beach, thanks to the proximity of the Pacific Ocean which warms air temperature in the winter months and cools in the summer so that the city enjoys a Mediterranean type climate with average temperatures reaching a high of 73F in August from a January low of 64F. Los Angeles LAX airport is ideal for international visitors as Newport Beach is just a 50 mile drive south on the 4 or 405, and then south on the 55 freeway till it ends at Newport Beach. You can also fly to nearby John Wayne Airport Orange County where convenient shuttle buses run into Newport Beach every 10 minutes. Take a trip on the Balboa Island Ferry to see the historic Balboa Pavilion, or shop at Fashion Island in the Newport Center. Whether you enjoy cycling on the boardwalk, shopping and nightlife, or the fabulous beach and water sports, Newport Beach is an excellent all year destination.